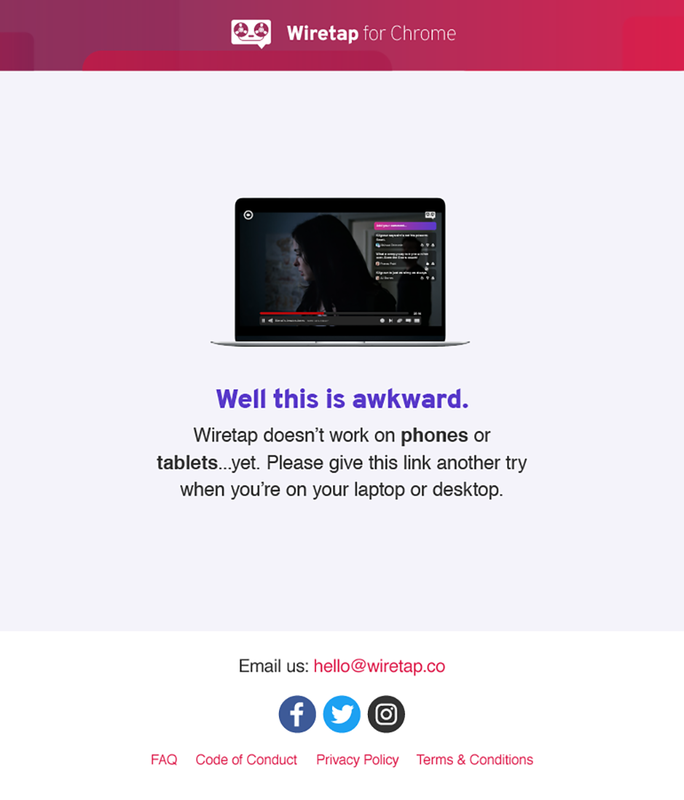 I’ve been on an exciting startup adventure with Wiretap, created by a dear former colleague. 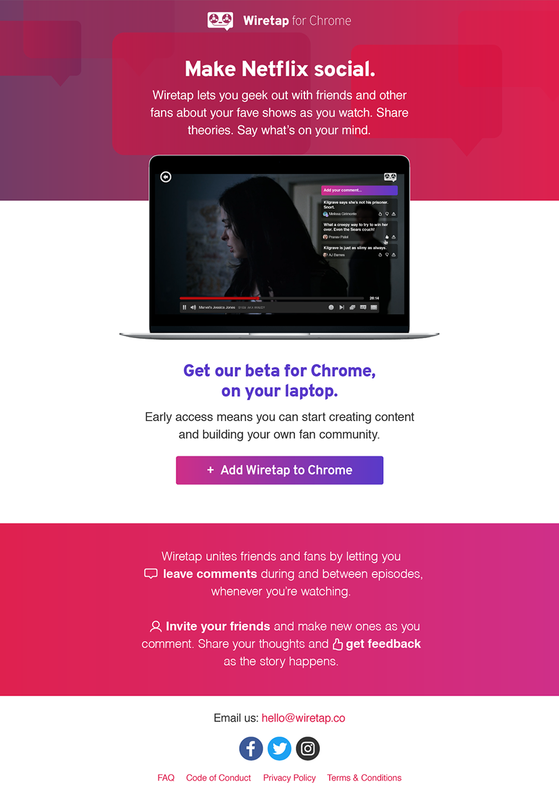 This browser extension lets like-minded, passionate fans connect while they’re watching their favourite Netflix shows. I’m working on establishing a spirited, savvy written voice across all touch points while helping to direct a look and feel which is dynamic and engaging. I’m also conducting user tests to make sure our work resonates with our target market – essentially all TV fans, but particularly millennials.